eyetricks Image Gallery #17 - Optical illusions from eyetricks.com. 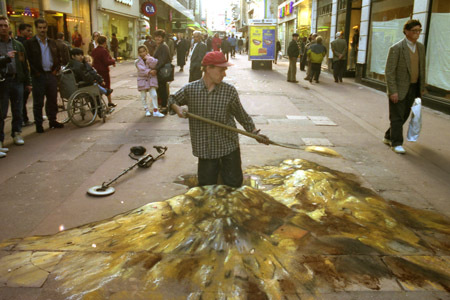 This is an example of an anamorphic illusion created by Julian Beever. Copyright Julian Beever. Used with permission.